As a supercar maker, Lamborghini should be the definition for prestigious, exotic, flamboyant, dramatic and so on. While the father, Ferrucio Lamborghini busy producing supercar ideal frontal style to teach the Ferrari, his children are busy in other things. Tonino Lamborghini is busy in fashion and perfume affairs, while Patrizia Lamborghini is busy with Lamborghini wines. Does Lamborghini dare to attack another sector by its name? Just dare, even to the affairs of the smartphone has been taken care of by Tonino. 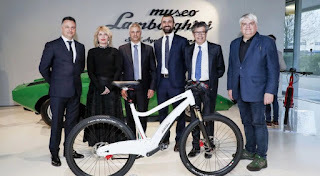 Another new item is the result of Lamborghini's collaboration with Italtechnology, Lamborghini introduces its electric bicycles at the Lamborghini Museum in Sant'Agata Bolognese. See how the Lamborghini electric bike is, what does it sound like? It's just yaa ... Car manufacturers who also sell bikes hell already familiar. Most bicycles sold by car manufacturers are more aimed at selling lifestyles, not actually selling bikes. 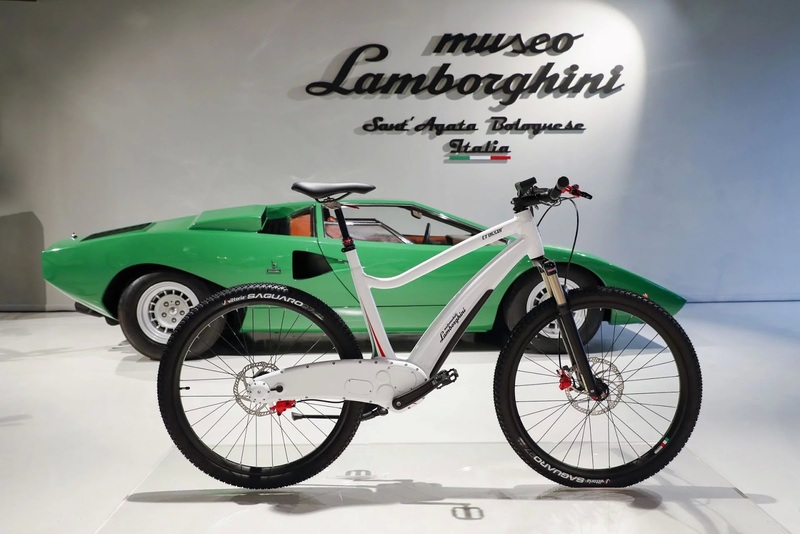 Lamborghini says, this bike is "The results of research for five years. These two electric bicycles are the artwork of technological advances. "Currently there are 2 models on offer, the usual mountain bike and road bike models. 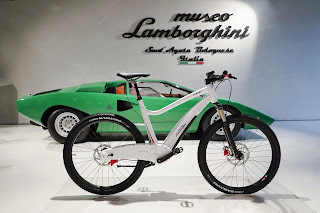 Like the four-wheeled Lamborghini and gasoline engine, the Lamborghini electric bike can be custom-ordered with a personalized Ad Personam program. Even want a message so that his bicycle wearing paint from Huracan Performante alone can you know. Both of these bikes have 8 speed gears and an anti-theft PIN code that locks the rear hub. Rear wheels can be removed and installed in five seconds to facilitate when brought with the car. The lithium-ion battery of the electric bike is integrated into the main frame of the bike. In Eco mode, this battery can make the bike run 145 km from full condition until it runs out. This new bike will be sold in May 2018, and certainly the price will not be cheap. 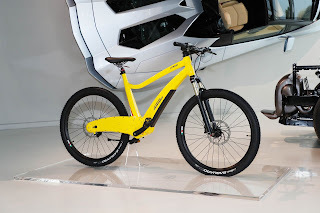 The problem is, if any Lamborghini owners who buy this bike, when wearing it? When is CFD time yes? What's your opinion? Convey in the comment field! 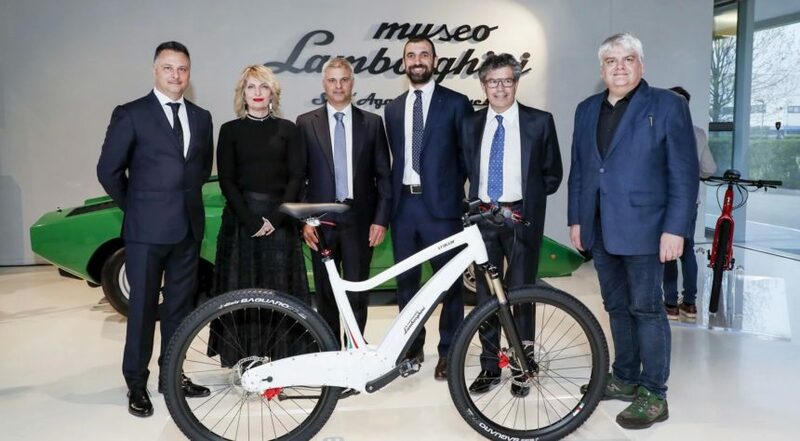 0 Response to "Lamborghini Electric Bike, Once Charge Can Road 145 Kilometers"